Each of these stories is a window into the lives of fictional characters experiencing real things. Bombay (or Mumbai if you prefer, I don’t want to get in trouble) is a large soup of humans. No matter where the residents of this city go, something from this city goes with them. In contrast, New York City is a smoothie, a blend only as delicious as the variety of ingredients used to create it. Here are ten stories that take place in these two cities; starting in the year 2000, going all the way up to the year 3000. There is a story about a single mother who is as honest as she is hilarious, except this is not the type of humour most people like. There is another story about a man and his two interns who have to investigate a heist, but then they get in too deep, and one of them is gone. There is also a story here about carrots and peas. I could tell you the rest, but it is more fun to find out yourself. Alisha Rajpal’s debut collection of stories spans genders, continents, and generations in intricate and subtle satire about tradition in India and Indian families. 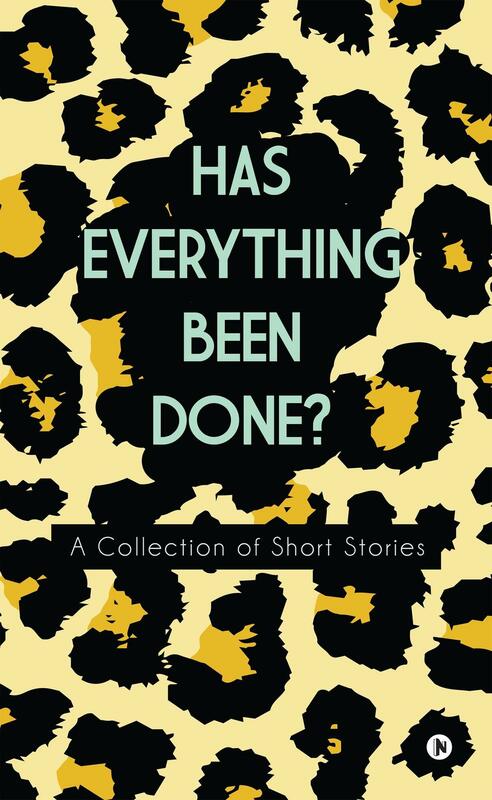 Ten short stories of simple narrative fit together and conflate nicely to create an overall stream of unpretentious and authentic material from a strong and youthful perspective. Rajpal’s writing is smooth and effortless and all ten of the stories read very much like a play. Within a story there is little variation in setting and character dialogue is direct and straightforward. Some characters sometimes speak in transparent metaphors. Her stories have layers that make the narrative interesting and dynamic in its visualization; for example, a phone ringing in the background or the types of food being served in a room different from where the action is taking place. The brevity of the tales does not hinder the level of background given to each character, all of whom are complex and incredibly real. Without a doubt, these people all exist in real life, and if not, they’re about to pop out of the pages and take their corresponding places. Rajpal’s writing is skillful and casual, and in fact, her craftiness is quite reminiscent of Raymond Carver and Janice Y.K. Lee. Rajpal could easily transition into playwriting if she decided (yes, please). All stories in this collection have an underlying element of satire that is shrewdly embedded into the narrative, and its subtlety makes it hard to pick out sometimes. The strong focus on tradition in Indian culture and its generational transition is pinpointed from the perspective of young adult millennials, from college students to interns, working mothers and entrepreneurs. The collection is youthful and modern not only for the role social media plays in the action of some of the stories (and awareness of sneakers), but through structure as well. Take The Stairs is written as an epistolary, presumably email although it is never clear through what media or to whom it is directed, Come Over For Dinner is playful and reflective in its unique use of alternating realities, Party vacillates between the perspective of two main characters, The Day I Died is an experimental and satirical piece situated after death, Vegetarians Can Kill People Too plays with a time leap, and The Year 3000 is a pseudo sci-fi piece on family dynamics and customs. All stories have a very strong sense of the metropolis and urban space, and they all take place in either Bombay or New York. The feeling of coming-together, of either families, partners, or small community, and the unavoidable drifting apart, which are the core themes of Has Everything Been Done? are strongly situated in a contemporary atmosphere. The chaos of a fast-paced urban social and work life, and the typical disorder of family reunion, clash in the most modern of ways, and is profoundly relatable to the early 20s to mid 30s millennial. All stories are in some way trying to convey some morality or advice on personal growth, but although the stories are nicely structured and well written, their overall meaning is rather forward and simple. Sometimes the stories end abruptly and their general point is unclear. This has more to do with the predominantly experimental tone of this collection than with lack of precision or focus. Alisha Rajpal is a very skilled writer that is refreshing to read and writes extremely relatable content. Her work spans variety that is strongly threaded together, and effortlessly represents the balance between tradition and modernity through the lens of Indian families. She has a strong voice for which she speaks with conviction to the Indian millennial, the particular intended audience, and her writing style lends itself easily to narrative experiment. Any work of Rajpal should be read and breezily basked in. In the future, her talent will undoubtedly continue to gleam in whatever form her authorship takes. There is a ringing similarity between a newsroom and a kitchen. Some days there is not a fruit in the refrigerator, and other days the pantry is stocked to capacity while a pot full of milk boils over on the stove. On a summer morning as empty as an un-stocked refrigerator, Mr. Rao sat at his desk at 7 am. It was rumored that he would start his day as early as 5 in the morning, taking in a walk and a swim at the Gymkhana before walking over to the office. No wonder he had the physique of a rather young man. If it weren’t for the many wrinkles on his face, he would certainly be age-ambiguous. As he sat at his desk, silvery fumes emerged from his cup of chai. He read each side of his newspaper side after side, and the room slowly filled up with other occupants. First came the cleaners with large hoovers, then the receptionist who applied kohl to her eyelids at her desk. Next came the interns, headphones tucked in each year and messenger bags strapped across their torso. The managers came in last, slipping into their glass walled cabins at the edge of the wide room. All the desks in the main floor of the office formed a grid around the bullpen. Reporters and writers sat on desks around the infamous bullpen. The bullpen was an empty square at the centre of the office. It was reserved for new recruits to introduce themselves, for managers to make farewell speeches, and for reporters to break news stories that were important enough to be treated as boiling milk running over on the stove. Mr. Rao had been working at The Bay longer than anyone else. He came into work before everyone and left at 6 pm on the dot. He had been working there longer than the current Editor-in-Chief, so no one knew how to reprimand him on his many oddities. His designation was as cloudy as his personality. He provided leads, advice, and on occasion wrote an article or two. He had a string of photographers and sources that would hand him files full of photos and documents. No one was allowed to meet Mr. Rao’s sources. Since the details they provided him always checked out, no one cared to verify who the sources really were. So long as The Bay was the first to publish the piping hot news all was well. In recent years the publication had formed a digital counterpart that comprised of a website run by a team of graphic designers and social media interns. Mr. Rao had yet to learn how to write an email. The biggest story of that week was the controversy surrounding mysterious bank robbers. With much guile and cheek, a band of thugs had been executing robberies at various commercial establishments across the south side of the city. There were believed to be four of them, they were agile and lean. It was hard to identify even the gender of the robbers because they always wore oversized workman jumpsuits, gloves, and scarves to mask their face. Little was known about them, and the frequency with which they planned and executed their attacks was steadily increasing. The papers had labeled them The Shakers, because they’d shake a place down till there wasn’t a rupee left in the register. Banks, restaurants, and even a shoe store had been victim to their attacks. The crowds were reeling, sticking to their TV and mobile screens as if watching a movie. Any story about The Shakers was publishing gold. The Bay’s office was located on the top two floors of a nineteenth century building. There was a jewelry store located in the lobby of the same building that shared a wall with an udupi restaurant. Every day at noon, Mr. Rao would walk down to the udupi restaurant to buy his afternoon meal. He’d get his lunch back to his desk in a clear polythene bag and would eat by himself. On that summer day, he was interrupted mid meal by the Editor-in-Chief, who was standing in the bullpen alongside a sharply dressed young man. From the far back of the room, another young man muttered under his breath. His name was Kanha and it was his first day on the job as well. He had applied for the position after sending in countless emails, phoning in the front desk repeatedly and ultimately showing up in person. The editor-in-chief was utterly charmed by his perseverance and asked him to join immediately. He had had his moment in the bullpen only minutes ago. The two interns were made to sit on Mr. Rao’s old teakwood desk, the only one in the office that didn’t have a computer on it. The two young interns, under the guidance of Mr. Rao were asked to work on any news item that contained details about The Shakers. Once everyone was retrieved to their desks, Mr. Rao had his two interns sit across from him, with notebooks out and nothing else on the table. The two young men looked at each other and back at Mr. Rao dumbfounded. “Sir, I have heard so much about you. Is it true you have sources in every hawaladar from here to Borivilli? Actually, I live in Borivilli also… isn’t that where you live too? I am fascinated to learn from you…” Kanha tried his best to wipe up the sweat beads from his forehead and Ajeet tapped his pen against the grain of the wooden desk. “ Mr. Rao, is it true that you have yet to reveal your sources to anyone else? Not even the editor ever gets to meet them?” Ajeet tapped his pen and he talked. “ Consistency?” Mr. Rao looked at him suspiciously. “ Consistency, Sir?” Kanha replied smugly and Ajeet offered him a scowl. “Now for the next few weeks I want the two of you to pick up on any detail that the other reporters don’t. Read every newspaper; watch every T.V channel and jot down names of suspects, vehicles, and places -any link to The Shakers. Just do me a favor- and stay off the damn Internet.” Mr. Rao resumed reading the stack of newspapers on his desk and the two interns got to work. Over the next two weeks, the frenzy around The Shakers doubled, there were debates on T.V channels that turned into screaming matches, articles upon articles discussing the outfits of the attackers and their intentions. Conspiracy theories bubbled up and even an address from the Prime Minister was underway. One conspiracy theory stated that a religious extremist group had deployed The Shakers, and that they were aiming to fracture the city economically before planning a gruesome blow that would cripple the government. This caused mass hysteria, forcing the Prime Minister to make a Nation wide speech reassuring the people that the police force was on the heels of the notorious group and that their terror on the city’s establishments was near its end. What was known about the looters was that there were four of them. They usually planned and executed their attacks with such finesse that it was hard to recover as much as a fingerprint from the crime site. They always entered the establishment mysteriously. There was no sign of damage to the place except empty lockers and penniless registers. The surviving guards if any, were left gagged or trapped in vestibules and elevators. Those that died of accidental asphyxiation were termed as martyrs. The guards that did survive couldn’t remember actually seeing the criminals. There were no photos, sketches, names, fingerprints or clues. Weeks rolled into months and the hype around the most wanted group of criminals started to settle down. However, The Bay among other daily papers maintained a column on them, tracing their every move in the hope that when they were caught, they could be the first to break the news. Kanha and Ajeet became Mr. Rao’s shadows, they had started bringing their laptops to work after Mr. Rao gave into their endless pleading. At a Monday morning meeting the three men found themselves in the bullpen along with the three writers of the digital wing of the paper. The senior most of the writers was 27-year-old Sheila. Mr. Rao and her stood in the middle of the Bullpen while their juniors stood in either corner taking notes. Sheila wanted to take Mr. Rao’s column and recreate it on the paper’s social media platforms. Mr. Rao looked at her like he was asked to eat a live cockroach. “Mr. Rao we are creating a series of posts- cartoon like caricatures comparing The Shakers to an earthquake, because- well the always shake a place down- What do you think of that? We think there will be a lot of social engagement on this.” Sheila stared at Mr. Rao through her cat-eye glasses. Her dark eyes were lined like a feline, and she wore all black garb save her lipstick that was a bright hue of purple. “ Sure, why not.” Mr. Rao responded plainly. “ … And we are trying to promote this as a digital column, so we have to have a catchy name for it, maybe a play on the words Bay and Bae? Something to pull in the millennial and Gen Z crowd, what do you think?” she spoke with the confidence of someone who had been in enough confrontations to get her way. Like most working women she had experienced many male colleagues with exploitative tendencies, so she never let her guard down. “ Bay and Bay? Miss Sheila, I don’t quite understand.” Mr. Rao’s face looked like he had ingested the cockroach but the pest was now crawling back up his throat. “ Not Bay and Bay! Bay and Bae! Bay like The Bay of Bengal and Bae the acronym. It’s a slang that’s very much in vogue. Everyone is saying it now.” Sheila talked with her hands, like a conductor without an orchestra. “ That is revolting.” Mr. Rao snapped. He let Ajeet and Kanha take over for him. From that moment the digital team was allowed to go ahead with all decisions on the virtual version of the column sans approvals as long as they promised to never inject an acronym into Mr. Rao’s beloved column. As the day rolled by, Shelia asked Ajeet and Kanha to join her and her teammates for a drink at a bar near the office. The group walked down the large wooden stairs of the office building and made their way to a nearby watering hole. They each had an icy cold beer, served with a paper napkin adhered to its side. As the night progressed the group broke off in pairs until it was just Ajeet and Kanha left at the table, their beers replaced with more potent drinks. “ Do you think he has a wife?” Ajeet asked Kanha with a mouthful of deep fried peanuts. “ Rita from finance told me that his wife passed away a long time ago in a train accident. He lives alone now; I think he lost his parents shortly after that too. Of course no one knows for sure because he doesn’t speak to anybody.” Kanha wiped the salty peanut crumbs from his fingers. “ No wonder he is so bitter and uptight. I don’t even know where he lives, tried asking him once, he had me write an extra 300 words on a 500 word article. I didn’t have teachers in school this strict! I offered to drop him off to the station one evening and he told me off for taking a taxi to work. He said since I live in the neighborhood I should walk to work. Help reduce the carbon footprint or something.” Ajeet remarked. “ Ah I can never get on the train at 6pm its crazy until 7-7:30 at night. I’d have to wait three trains before I could even get on. So I just wait till 8 pm that way I don’t have to deal with rush hour.” Kanha shrugged,“ Its odd though, Rita also said that he lives in Borivilli, but I never see him on the morning train, I even tried leaving home earlier than usual once, walked through all the compartments to find him, but he wasn’t there. Then just as I was getting out of the station, I saw him crossing the road not five feet ahead of me.” Kanha signaled the waiter to bring the check. “ I’ve heard he starts his morning super early, meets his ‘sources’ and collects his leads at the crack of dawn. He must’ve taken the first train out.” Ajeet offered to pay the tab for the drinks. “ Okay dinner is on me then, do you want to grab a bite?” Kanha got up and the two of them walked out of the bar. The next day the two young interns showed up to work visibly tired, their intoxication from the night before had left an evident redness under their eyes. “ Sir a new column? I take it we are putting The Shakers story on the shelf for now?” Kanha asked while Ajeet kept his eyes locked to the floor. Ajeet and Kanha looked at each other and then nodded at Mr. Rao. They decided it was better to follow the instructions provided rather than revolt. The two young men spent the rest of the day taking notes and photographs of stone buildings. Massive structures with arched windows and doorways covered in grotesque webs of wires and cables. It was easy to imagine what these buildings looked like before modernity had tainted them. Perhaps when the buildings were first constructed they were a symbol of modernity themselves. As the sun went down on yet another summer day, the two young men walked up the rickety staircase of their office building. The week was out and they had provided Mr. Rao with photos, maps, unseen floor plans and even testimonials from workers that inhabited those buildings. Mr. Rao seemed more unimpressed than usual and yet he wouldn’t let Ajeet or Kanha write the column either, not that it mattered because Mr. Rao was yet to pitch it to the Editor. “ Please make sure you share these photos with Sheila as well. She has been building a digital photo diary featuring all these heritage buildings.” Mr. Rao handed his interns a file with black and white printouts. “Sir, we thought you hated digital anything?” Kanha asked, Ajeet looked at the ground firmly once again. Weeks rolled by and the internship term was almost at an end. Mr. Rao was yet to pitch the idea for a column about heritage buildings but he had his interns work at it aggressively. In the meantime, The Shakers had conducted two new attacks. This time at a major city hospital, one that had been first built by colonizers and the other attack at a popular high street store located not a kilometer away from the The Bay. Mr. Rao wasn’t remotely interested in either. While the rest of the staff frenzied about the office collecting details on the latest theft, Mr. Rao sipped his afternoon tea. “You know what’s strange, all these attacks are happening in old heritage buildings exclusively? The last statement released by the commissioner’s office stated that the CBI is working on this case now too.” Ajeet whispered to Kanha. From across the table they were all sat at, Mr. Rao remarked, “ surprised they haven’t invited the FBI to work alongside the CBI. We are so used to taking outsiders’ opinions more seriously than our own.” He put his pen down and transferred all his belongings in a laptop bag that had no laptop. It was the first time Mr. Rao had shown up to work with a bag in many years. “ Follow me.” Mr. Rao signaled the two young men and started walking out of the office. It took a few minutes before the two young men could catch up to him, but he was halfway across the office before they could ask where they were headed. The three men then walked down the stairs because Mr. Rao didn’t wait for the elevator ever. Old buildings in Bombay had a unique quality, their elevators were true examples of fine engineering; but their staircases felt like handmade projects assigned to uninterested school kids. As the three men descended the uneven wooden stairs, and the fire alarm went off. Mr. Rao paid it no heed. “ Follow me.” Mr. Rao said in a dry voice and the two young men did as instructed. Just seconds before the entire building’s population started to make a hasty exit, the three men were already on the street. Mr. Rao walked straight towards Central station, and the two boys looked at each other with confusion as they followed their incomprehensible boss into the crowded station. Central station was not as much a hub for trains as it was a big soup of humans. The smell of chai, piss (both human and dogs), sweat, broken air conditioning, paper tickets and cheap deodorant filled the air. Kanha passed through this station everyday on his way to and from work but he had never seen Mr. Rao there before. Yet Mr. Rao made his way through the crowds like it was his own living room. He walked through the throngs of people; his interns close on his heels. “ Today will be the start of your journalistic careers gentlemen.” Mr. Rao turned briefly and then halted. “ Do as I say, don’t question me. Turn off your phones.” He instructed and they obeyed. At the end of a platform the wall curved just when it looked like they had hit a dead end. Mr. Rao slipped past the curve and waited for the boys to join him. He led them through a door marked ELECTRICAL GRID – AUTHORISED PERSONNEL ONLY. Once inside the thin room, they had to each walk in a single file to get past a grid of cables and wires. Behind the grid sat a door that looked like a cage fence in a zoo. Mr. Rao inserted a key into a retro lock guarding the door and walked in. With justified hesitation the two interns stood frozen between the grid and the cage door. “ Trust me.” Mr. Rao said unflinchingly. The trio then ascended a spiral staircase leading up what would be at least five stories of a regular building. Through the windows that curved the wall, Kanha and Ajeet watched the city go by, temporarily detached from it. They threw a bucket of questions at Mr. Rao. Central station although a grand structure of stone and concrete from the outside, was entirely corrupt with modernity on the inside. The façade barely matched the interior. All signs of the current day plagued its insides. Plastic wrappers of candy lay strewn across the tracks, newspapers stuck onto the corners of walls alongside paan stains. Electric signs displaying train schedules were suspended from the ceiling in ugly colors. The inside of Central station was chaotic and dirty. The outside of central station was just as remarkable and sturdy. The arched windows and dome topped columns stood in the middle of the city like a cow on the middle of a street during rush hour- completely blind to the world around it and in no hurry to move. Once the trio had reached the top of the staircase, Mr. Rao unlocked another door. A small room was revealed as the door swung open. They were inside the dome shaped top of one of the columns holding the station up. The two boys looked visibly uneasy. “ I never realized this space was accessible. Look at the city below, does anyone know we are here?” Kanha walked to the edge of a wall where a small window was perched up out of reach. In the room there was a single bed in a corner, a wooden desk with a chair to match and a stack of books piled neatly atop. Next to the books a battery-operated lamp was neatly tucked away. There were more books stacked in piles everywhere. Ajeet stood still in his spot, his eyes scanning the room while Kanha walked around exploring the cave in the sky like an animal in a zoo display. A jug of water and a single cup nestled on a nearby niche. A clothing rack contained hangers of shirts, a few pants, a belt and a coat. The room was spotless, not a spec of dust in sight. In the far end of the room exposed pipes took up a chunk of space, dismantled and modified. It looked like a water closet could’ve once been there, but it was hard to tell. Through the elevated window the last ray of daylight started to cast shadows. “ W-Where are we?” Ajeet asked, paler than he was five minutes ago. “ Is this how we die? I haven’t even had a girlfriend yet.” Kanha whispered in his colleague’s ear. The two of them stood close to the door leading to the stairwell. “Sir… what is happening? Where are we?” Ajeet spoke up. “ In my home” Mr. Rao answered. He picked up a suitcase from underneath the bed and started to assemble all the contents of the room in it. “ Is this why you had us document heritage buildings?” Ajeet was ready to throw up. Unfazed by his interns, Mr. Rao continued, “The Electrical grid gets inspected once every six months, usually a different set of electricians each time. No one wanders past the grid anyway and I place a slab of wood to block off the back door to make it seem like a dead end. For the world this room simply does not exist.” Mr. Rao continued packing his belongings as he spoke. “ Are you a part of The Shakers?” Kanha’s voice was higher than a pre-pubescent schoolgirl. Mr. Rao offered him a frown. “I asked you two to work on the heritage buildings so I could draw this.” Mr. Rao reached into his laptop bag and pulled out a blueprint that was entirely hand drawn. He had marked spots where the attacks had happened and a network of the secret passageway many stories beneath them. “ Today The Shakers will be looting the jewelry store in the ground level of our office building, it’s the last stop on the railroad network. By the time they are done and back here it should be half past eight, which gives us about two hours. Of course I can only assume this pattern based on their past attacks, but it’s a strong hunch.” Mr. Rao packed up the entire room in seven minutes; it was hard to imagine any life had inhabited it only moments ago. The furniture still needed undoing so he lay his suitcase down and fished around for a screwdriver. “ Help me disassemble these.” Mr. Rao pulled out a small tool kit from the suitcase and started to undo the single bed slab by slab. “ You live here? How can that be? What about Borivilli?” Kanha stammered, it was almost as if he hadn’t registered a word of what was said to him. “I knew you two would pester me on this.” Mr. Rao sighed and looked up to the two interns. He was crouched down on the floor, unscrewing the wooden legs from the bed. Mr. Rao sat on the chair, and looked at the two interns intently, “ you can teach yourself anything if you put in the hours and find the right books.” The two men sat beside their boss on whatever surface they could turn into a seat. “ I could write and read at age seven. All sorts of people visit this train station; they all stopped for tea back then, there weren’t any coffee shops. I learnt how to write and count there. As for my parents, I spent a few days in my adolescence wondering about them, but I soon realized that all parents are humans and therefore also flawed. Most people take a lifetime to comprehend the flaws of their parents; I did it early on because I never met mine. I didn’t bother with a family for myself either. I was just grateful to find a job. A junior editor from The Bay had come to recruit young interns at the college I was studying at, that’s how I got in. I’ve been there since.” Mr. Rao stopped for a minute. He turned on the battery-operated lamp on the desk. The room grew into soft amber. Together the three men disassembled all the handmade furniture in the room as well as the clothing rack. They placed it strategically across the room to look like it was recklessly abandoned. “ Mr. Rao- sorry, Sir what is your actual name?” Kanha asked. “ I never had one” Mr. Rao checked his watch an hour had gone by. “ It has to? Sir in one hour we have gone from photographing old buildings to solving a CBI level crime.” Kanha had started to perspire. “This is the start of your career. No turning back now, do as I say.” Mr. Rao picked up his luggage and walked out of the only home he had known, he didn’t stop for a last look. “ Sir, where do you get your mail?” Kanha asked and Ajeet slapped the back of his head. “ I have a P.O box and I collect my salary checks in person. Its easy to slip through the cracks of the world when your needs are limited.” Mr. Rao had already started descending the spiral staircase. Once down he left the caged door unlocked. One by one, they slipped passed the electrical grid, Ajeet and Kanha’s young arms had to maneuver the suitcase across the thin room. Once the trio slipped back into the chaos of the platform, there was little time left until 8:30 pm. They hurriedly made their way across the station to the last dome topped column. In front of the door marked WATER TANK UNIT AUTHORIZED PERSONEEL ONLY Mr. Rao looked at the young faces he’d been in charge of for the past few months. The fire alarm went off again; within seconds there was a manic chaos that erupted across the station. It was a stampede in the making; Mr. Rao pulled the two boys by the arm onto an incoming train. As the train halted and all its occupants ran onto the platform but Mr. Rao signaled the two interns to stay aboard. From the gaps in the railings of the train window they saw people walk over each other and children scream. Kanha picked up his phone to dial. “ Don’t do it, its pointless. The police will never get here in time. The alarm is a cover up. Point your camera to that door and record everything. Stay down and don’t get noticed.” Mr. Rao set his suitcase on a seat and the three men positioned themselves in place. Almost like clockwork, the door marked WATER TANK UNIT opened at 8:30 pm but it was hard to see who slipped through. The crowd was dense and frantic; it was only seconds before the door slipped back into place, anyone could have slipped through the door in the frenzy. The train started to move. “ Quick get off the train and go to the office. Call the Editor and rewind the recording until you spot the suspects.” Mr. Rao instructed the boys. “This is the beginning of your lives gentlemen. Be cautious, you know what to do.” he said. The two boys exited the train, as did Mr. Rao. In the stream of the people they lost each other before reuniting on the street outside. Mr. Rao was close behind them in the station but they couldn’t find him on the street. “ Let’s not waste time looking for him here, I am sure he will meet us at the office” Ajeet instructed Kanha and they hurried back to their workplace. The entire building was cornered off; the jewelry store on the ground floor was stripped to the bone. Their work badges got them into the building and eventually in the bullpen where the Editor was vomiting commands to her team of reporters. The click clack of fingers pounding on keys was deafening. Every person had a screen in hand. “ Madam, we have something!” Kanha exclaimed. “Get out.” The Editor was livid that someone had the nerve to interrupt her. “ Its about The Shakers, we have footage.” Ajeet said. Over the next few days the CBI had set up camp in the bullpen. The boy’s couldn’t remember the last time they showered or ate. Both sets of their parents had called their phones over a dozen times. Every T.V outlet had featured their faces. Within a month enough DNA data had been collected from the underground passage walls to identify The Shakers. Rough sketches from the video footage had been examined thoroughly. Even though it was assumed that the notorious looters were probably in disguise, theories put forward by the intelligence unit suggested that they were a group of two women and two men. The nation was torn between people that believed they were two sets of twins and those that believed The Shakers were a quartet of lovers. Alas everyone was disappointed when the foursome was nabbed and it was found that the four criminals were only connected in crime not in relation. All four members of the crime quartet had prior criminal records in different parts of the country. On an anonymous tip the jeweler who was last looted had installed gps chips on a majority of his items. This was the last breadcrumb needed to make the arrest. The Shakers were nabbed at a small port outside of Alibaug in a rented yacht. There were already disputes among filmmakers as to who would get to recreate their story on celluloid. Both Kanha and Ajeet had been hired full time and were leading a segment on a televised program held on a network newly acquired by The Bay. On the morning of their television debut, the Editor asked her shining stars to meet up for a coffee. “ I was just wondering, when was the last time you spoke with Mr. Rao?” Kanha asked his former super boss earnestly. “ Odd fellow didn’t even come to collect his residual check. He turned his resignation letter to me over a month ago. Wouldn’t even let me throw him a farewell dinner. Can’t say I’m surprised he wasn’t exactly a people’s person. Shame that he had such a quiet run at paper and then on his last day of work his interns struck gold.” She wished them both the very best of luck and continued to maintain the column on heritage buildings in the Sunday edition of the paper. It was evident that the column was only maintained with the intention of featuring the boys a little more than the buildings, but no one complained. Ajeet and Kanha often talked about returning to the station to look for traces left behind by Mr. Rao but they never did. They knew Mr. Rao had left the station. Discover more books like Has Everything Been Done?